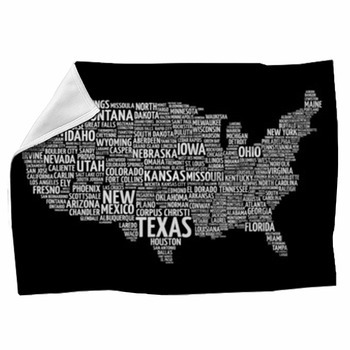 The long and wide shape of the United States makes the perfect decoration to spread over your bed or couch on one of our USA map blankets. 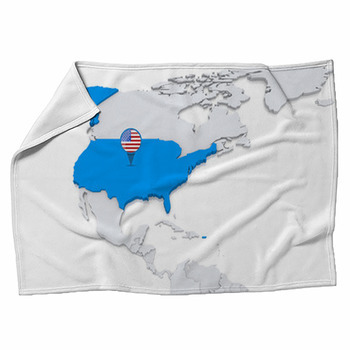 Choose throw blankets that incorporate the American flag along with the map, that picture detailed depictions of the mountains, deserts and forest that make the US so beautiful, and others that show the country as part of North America. 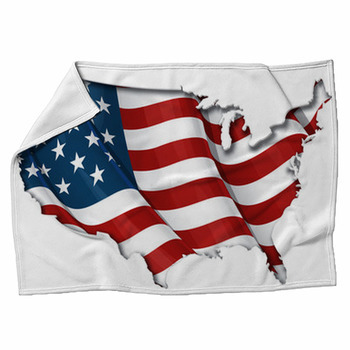 One innovative and nostalgic USA map blanket fills in the shape of each state with a photo image of a landscape or theme that makes it great. 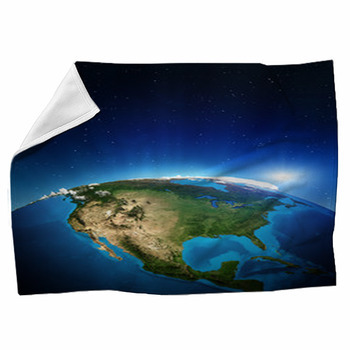 New York shows the Empire State Building towering over Manhattan, Nebraska pictures vast green prairies, and Washington State is decorated with a photograph of its lush, rainy forests. 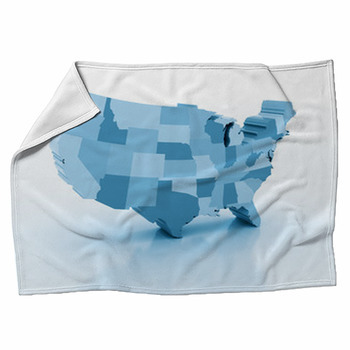 The Great Lakes are also featured on these woven blankets, colored in with a vibrant shade of blue as they wind around Michigan, Minnesota and Illinois. Trains were a huge part of opening up the American frontier, and still play a vital role in transporting goods and people across the country. Honor the power and magic of trains with a fleece blanket that exhibits all major railways running as silver lines over a brown USA map. Many of our woven blankets even include the distant states of Alaska and Hawaii. 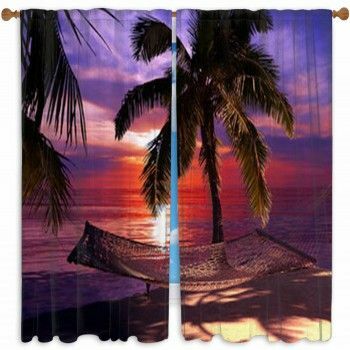 One of these shows the islands of Hawaii and massive Alaska in green and turquoise maps set below a map of the contiguous forty eight states. 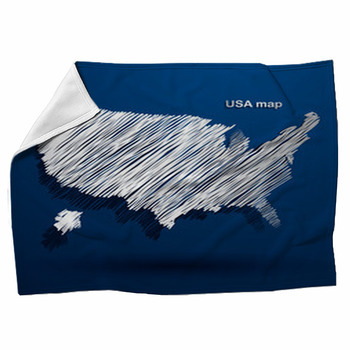 Let your kids learn about all of the intriguing cities that are spread across huge America, with a USA map blanket. 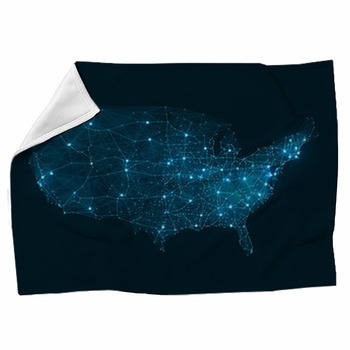 This fleece blanket pattern has hundreds of cities marked in black on the pastel red, mint green and tan colored states. 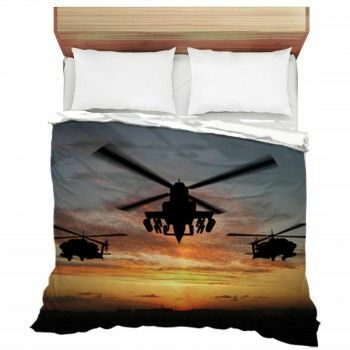 Show different dynamics of the US by adding our USA themed window curtains and pillows.